After reading about Dumplings and More on the Footscray Food Blog, it sounded worth making a visit to. It's a bit more inviting than 1+1 just down the road, however the tables were a bit dirty when we visited, and the tea we were offered was cold despite being in a thermos. The food however was better than initial impressions. 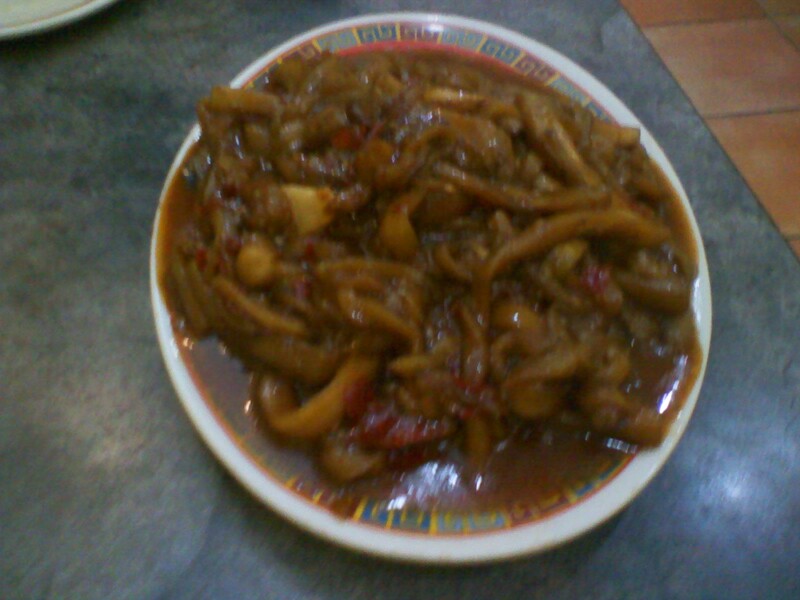 We shared a variety of dishes, first to arrive was the Aubergine/egg plant in Szechuan sauce. The aubergine was sliced into long thin almost noodle like shapes, and the sauce was spicy, tasty and not to greasy. The other dishes we tried were the lamb skewers prawn meat and pork dumplings. The skewers were spicy (as we'd asked for) and a bit salty, but great all the same, certainly unlike anything I'd had ina Chinese restaurant before, more like food found in Pakistani style eateries. 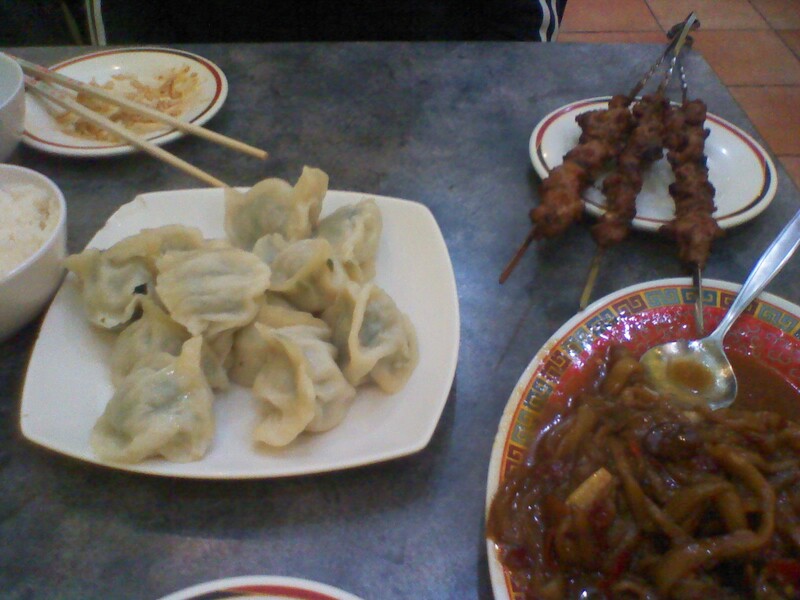 The dumplings were good, with herbs adding to the meat and seafood flavours. It came to $23 all up, a cheap and tasty meal! 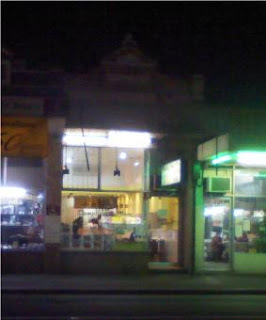 I loved 1+1 Dumplings and am happy to hear that there is another Ughur-style dumpling restaurant in Footscray. I'll drink to that!